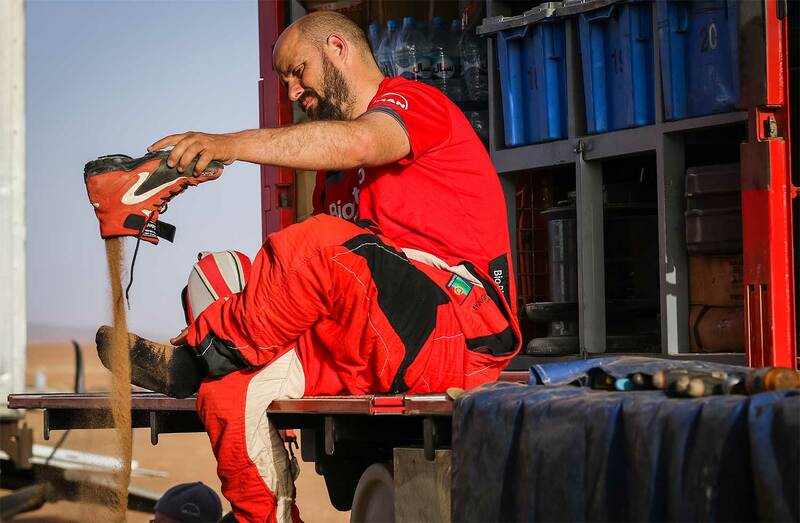 Elisabete Jacinto completed the third stage of the Morocco Desert Challenge on Tuesday, a difficult day in the Erg Chegaga dunes that proved to be devastating for the Truck-team from Portugal. In this special, composed of 335 timed kilometers that began in Touzounine and finished in the Erg Lihoudi, the Portuguese rolled among the first five trucks. However, at the crossing of a large section of sand one of the MAN TGS’s tires left the rim which caused them to lose a lot of time trying to solve the situation and finished the stage in the 15th overall place of the truck classification. 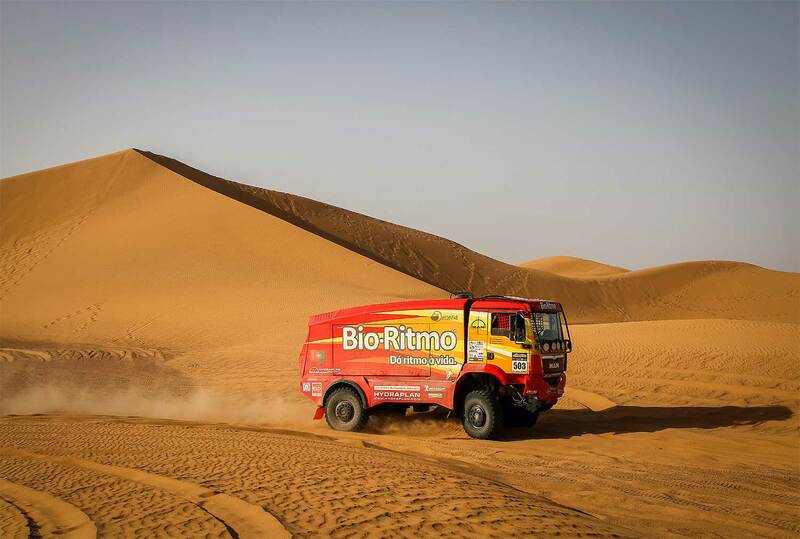 The team formed by Elisabete Jacinto, José Marques and Marco Cochinho managed to complete the stage after spending several hours in the desert. "This was a very difficult day. We tried to run fast but we had problems with the shock absorbers. However, our major problem was the dunes," the Team reported. "One of our bedlocks, the system we use that lets us ride with lower tire pressures so that they don’t get out of the rim, failed when we were crossing a sand barrier, and the tire came out of the rim and we got stuck. It took us a long time to sort things out and to get out of there. The dunes are always very treacherous and without the right material it is difficult to do better." "After that we only had minor difficulties in a place where it is always very complicated to navigate but we managed to run with a good pace. However we lost too much time in the dunes. 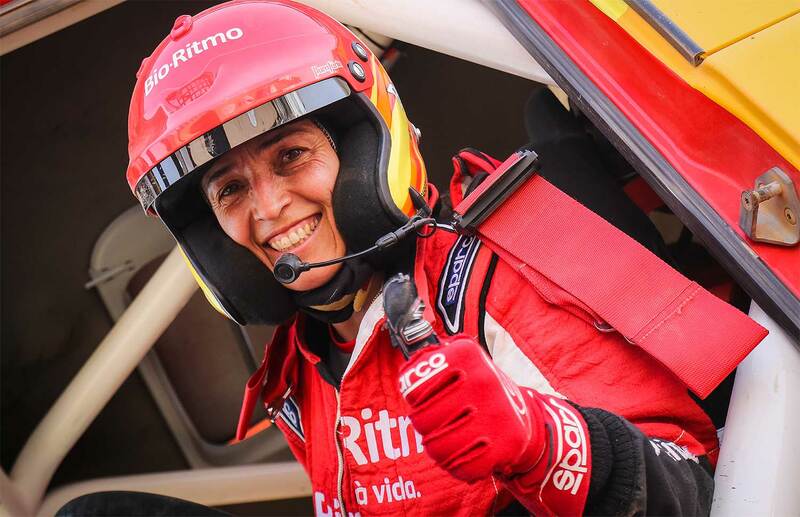 This makes us frustrated because we were doing a good race", said Elisabete Jacinto.